The lack of a national drug coverage plan is “a glaring gap in Canada’s social architecture,” but fixing the problem could save Canadians billions, a new study argues. Drug costs have skyrocketed in Canada over the past 30 years, with per-capita spending on drugs rising to $795 per year in 2012, from $99 in 1985, says the study from the Mowat Centre, a think tank at the University of Toronto’s School of Public Policy and Governance. About one in 10 Canadians who are prescribed drugs fail to fill the prescription, and the study indicates cost is a major factor in that. “Not being able to cover those costs has consequences, as prescription drugs can improve patient health and reduce costs elsewhere in the health care system (e.g., number of emergency room visits and hospitalizations),” the study says. 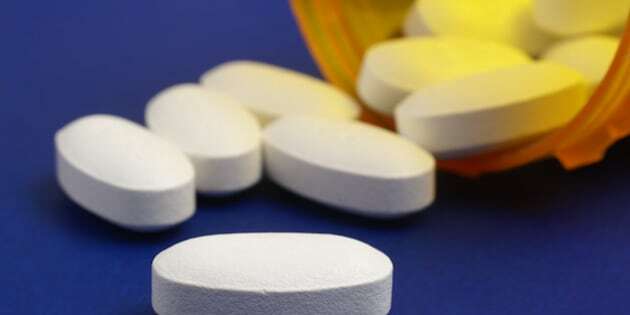 The study cites earlier research from the Canadian Centre for Policy Alternatives which estimated the total cost of failing to adhere to prescriptions in Canada at $7 billion to $9 billion per year. It argues Canada could save billions if it enacted a national drug plan, similar to ones found in the U.K. Australia, Germany and elsewhere, where drug costs are 15 to 60 per cent lower than in Canada. These countries’ universal drug plans allow governments to manage drug costs better than Canada can, the study says. To keep costs down, drug plans use such techniques as “reference pricing” (swapping out more expensive drugs for cheaper, similar ones) and issuing competitive tenders for drug supplies. “If, for example, per capita spending on prescription drugs in Canada was reduced to the same level as Germany, Canada would spend $4 billion less per year; if it matched the rates of the United Kingdom or New Zealand, savings would reach $14 billion per year,” the study says. Overall, it estimates a universal pharmacare plan would save up to $11.4 billion a year, with $1 billion of that saved just by no longer duplicating administrative costs in the current “patchwork” system. In 2012, a couple 65 years of age or older with an income of $35,000 and in need of $1,000 worth of prescription drugs per year would have paid the entire cost of these drugs in New Brunswick or Newfoundland and Labrador. By comparison, they would pay two-thirds in Quebec, one-third in Ontario or British Columbia, and nothing at all in the Yukon or Northwest Territories. But the study acknowledges that a “transformational” change like a national drug plan can be difficult to achieve, and suggests interim measures in the meantime. Chief among these is the creation of a national agency to evaluate medicines and buy drugs in bulk. The Mowat Centre study isn’t the first to suggest Canada could save on drug costs with a national pharmacare plan. A study earlier this year from the University of British Columbia and the University of Toronto estimated Canada would save $7.3 billion annually if it instituted a national drug plan and brought drug costs in line with those found in other countries that have universal drug coverage. “For too long, policy makers have assumed that universal pharmacare is an expensive policy for governments – that assumption turns out to be wrong,” study co-author Dr. Danielle Martin said in a statement.